Leave it to Pixar Studios to deliver one of the year’s best films in June. 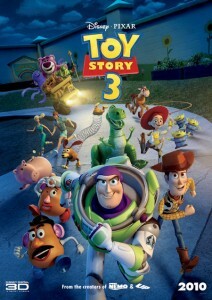 “Toy Story 3” enters the summer arena and livens up screens, delivering as a sequel that can entertain audiences of all ages. The Toy Story canon kickstarted Pixar and full-on CGI animation back in 1995. Fifteen years later, the franchise still has juice, as kids that loved the original are now potentially parents taking their little ones to the multiplex. They should be pleased. 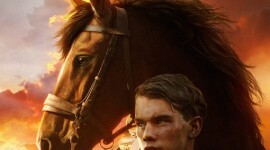 “3” doesn’t just capitalize on a popular title as the last two Shrek sequels have done, but it follows a palpable storyline and takes the series in a logical direction to a fitting conclusion. Young little Andy isn’t so young and little anymore. He’s a high-school graduate off to start a new chapter in college. In the process of cleaning out his bedroom, he is forced to decide what to do with his childhood toys. His mother says to bag them up for storage in the attic or toss them in the trash. Most of the gang (including Buzz, Rex, Mr. and Mrs. Potatohead, Ham, etc.) get bagged up for the attic, while Andy decides to keep his favorite toy, Woody. Due to a misunderstanding, Andy’s mother assumes the bagged up toys are headed for the trash. Woody makes a last ditch effort to save them, and the toys escape the garbage truck and land themselves in a box of used toys headed for Sunnyside Daycare. Upon arrival, the toys believe they have found the perfect paradise to find affection and purpose from children all day long, while Woody has his doubts and begs his friends to head back to Andy’s. The gang makes the decision to stay, and Woody is left on his own. Soon enough, the toys realize they are meager pawns for destructive toddlers to torment. Looking to escape, the the group faces opposition from a soul-scarred purple bear named Lotso who has taken control of Sunnyside and will not allow the new toys to leave. Woody gets word of how destructive and enslaving his friends’ situation has become, and plans a rescue mission to save them. Following in the footsteps of the previous “Toy Story” films, the final installment stands just about as classic, but probably for different reasons than one might expect. 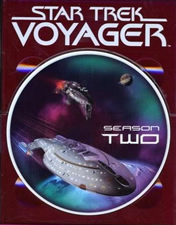 The plot actually heads into some very dark and dramatic territory as issues of abandonment, imprisonment, purpose and demise culminate the proceedings. Where the first two films may have been a little more lighthearted and comedy-driven, “Toy Story 3”, while still having its humor, actually builds out of heartbreak, stirred emotion, and a lot of suspense. In some ways, I was surprised this secured a G-rating. Pixar’s creative team of writers have recently excelled at exploring deeper thematic material in brilliant ways. I think of man’s destruction of Earth in ‘Wall-E’ to the loss of a significant other in ‘Up.’ “Toy Story 3” continues that trend. The film is smart enough for adults and entertaining enough for kids. Luckily, the entire cast of voice actors return and bring back these characters we all know and love. Forget the 3D, it’s not necessary. 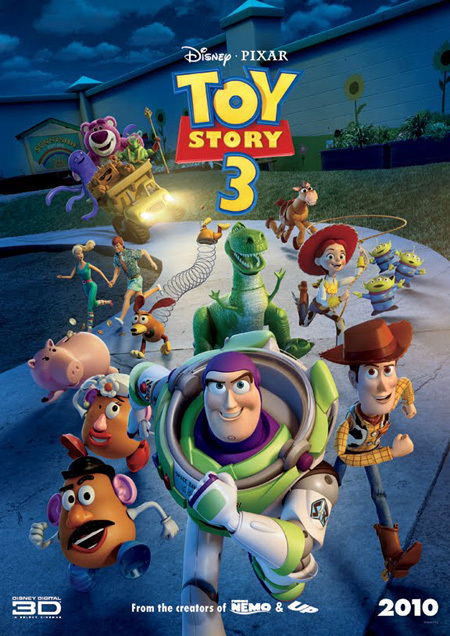 See “Toy Story 3” for its brilliant writing, its comedic value, its dramatic nature, and its expert animation.